fMSX is an MSX home computer emulator. 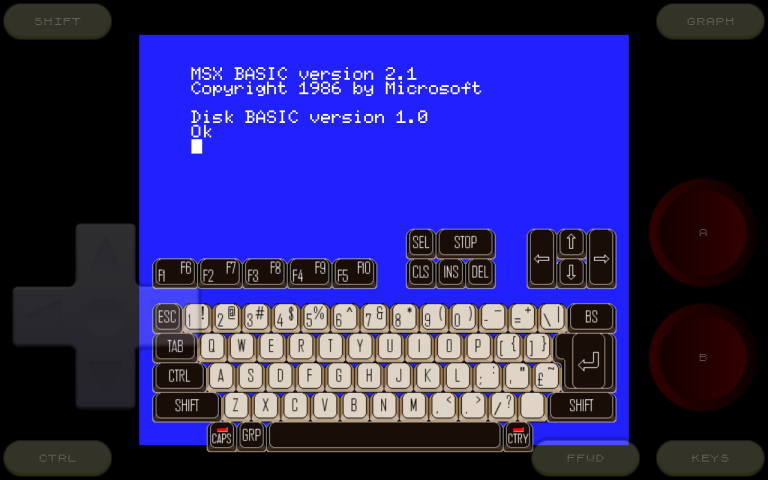 It runs MSX, MSX2, and MSX2+ games and other software on your Android phone or tablet. Play MSX games with Bluetooth gamepads, Xperia gaming buttons, Moga gamepads, or iCade joysticks. Save gameplay at any time and restart once you get killed. Record MSX music to MIDI files and use them as ringtones. Play with friends over WiFi or Internet, using NetPlay. Play on a 55" GoogleTV screen, using your remote controller or USB joystick. This is a free, limited version of fMSX that may show ads and nag you to buy the full version. For the full, ad-free version, get fMSX Deluxe. Or, you can buy any one of my other emulators and the fMSX ads will stop. fMSX package itself does not contain any MSX programs. You should place your own MSX files onto the SD card before running fMSX. Please, do not run any software you do not own with fMSX. The author cannot and will not tell you where to find free MSX games or other software.